Trump, which the company blamed on a hack from an external source. 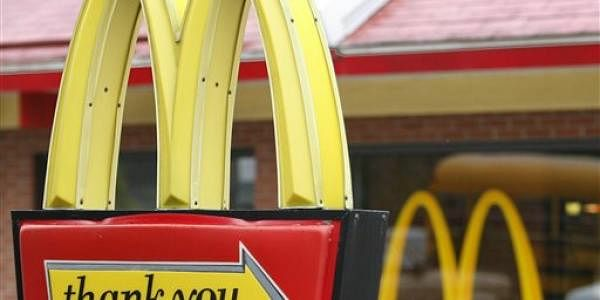 NEW YORK: McDonald's has apologised after it briefly posted on Twitter a blast criticising President Donald Trump, which the company blamed on a hack from an external source. The quickly deleted tweet offered an uncharitable appraisal of Trump, saying, "You are actually a disgusting excuse of a President and we would love to have Barack Obama back, also you have tiny hands." The tweet was removed mid-morning yesterday soon after being posted to one of McDonald's official Twitter feeds -- but not before being retweeted more than a thousand times and garnering plenty of attention in political and media circles. "Based on our investigation, we have determined that our Twitter account was hacked by an external source," said McDonald's spokeswoman Terri Hickey in a statement yesterday. "We took swift action to secure it, and we apologise this tweet was sent through our corporate McDonald's account." Hacking has been a persistent problem in recent years with the growing influence of Twitter and other social media sites. In April 2013, a hack of the Associated Press resulted in an erroneous post that the White House had been attacked, briefly sending US stocks markets down in a panic.